11.10.2017: He’s a man with many hats, which may explain his hair! Grungy, a little unkempt, dishevelled even — the kind of locks rock stars would kill for. He’s a man with many hats, which may explain his hair! Grungy, a little unkempt, dishevelled even — the kind of locks rock stars would kill for. He goes about his business quietly, quickly, efficiently. Only stepping in when needed, safe in the knowledge the groundwork and plans have been put in place to ensure the safety of racing drivers. 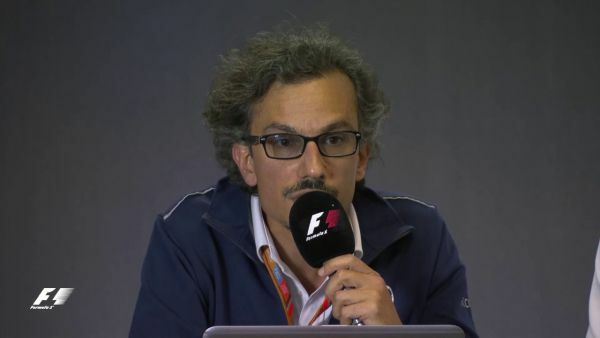 He is Laurent Mekies, Federation Internationale de l’Automobile’s (FIA) safety director as well as Formula One’s deputy race director and Formula Two race director. Asked how he juggles his jobs, he replied: “I enjoy it. It's a good mix. We try to support all forms of departments from a safety perspective. “It is good to have a role (in the two championships) to have a clearer picture of what is needed for both sides of the (safety) topic. Mekies said educating drivers about safety issues has been one of the hardest aspects of his job. “Drivers may not agree all the time. We need to educate and convince them we are not trying to curtail the speed of the car or their talent,” he explained. “We are trying to anticipate what could happen instead of reacting to an accident. That is why when we come up with certain solutions, there are people who may question what we are doing. Mekies is convinced the new “pyramid scheme” in formula racing — where drivers start earning points to their Super License by racing in Formula Four, Three and Two before reaching Formula One — will help educate drivers better. He explained many guidelines in F1 would eventually filter down to the other forms of formula racing where the younger drivers can better understand what FIA is trying to do. “We develop the high technology in F1 — crash tests, exotic material, halo cockpit protection and other high level developments because teams have strong engineering support. “Once we do it for one or two years and as the technology gets better known we implement it in the other formula races. By which time, it would be less expensive for the lower category,” he said. Separately, on the new F3 to be launched in 2019, Mekies said he expects it to be just as successful as Formula Four. “Look at how well F4 has done. Its first champion, Lance Stroll is already in Formula One and there are many more drivers knocking on the door for an F1 drive,” said the Frenchman. He explained in three years Formula Four has gone from zero championships to 15 but was unsure if some countries can handle having individual championships. “There is a need, or rather a request for an interim step, to have a regional championship instead of a national event. It is a good step forward as in terms of performance the gap will be quite big,” said Mekies, an engineer by training. Petron Corporation is an emerging and rapidly evolving Asian oil company. We share the same roots as ExxonMobil in Malaysia, tracing our lineage to 1933 with the formation of Standard Vacuum Oil Company. Petron has evolved to meet the challenges of the dynamic markets and today, we are the largest oil refining and marketing company in the Philippines, supplying nearly 40 per cent of the country’s oil requirements. From its humble beginnings in 1941 as Korea’s first tyre company, Hankook has grown into the seventh largest tyre company in the world, one that continues to create new possibilities and overcome new challenges. It is actively embracing the global stage through constant technological development and commitment to innovation. Founded in 1962 with its headquarters in Tokyo, Japan, the Fuji Xerox Group employs more than 45,000 people globally, and has more than 80 domestic and international affiliates and sales subsidiaries. The Malaysian operations began when Rank Xerox was incorporated in 1966. In 1991, it changed its name to Fuji Xerox Asia Pacific Pte Ltd (Malaysia Operations). Fuji Xerox Malaysia was awarded ISO 14001 Certification by the Japan Audit and Certification Organisation in 2003 for its compliance with environmental standards and commitment. Reduce Carbon Emissions Co. Ltd from Taiwan is the worldwide leader within the Starter Batteries Industry. Its products are of the highest quality possible, at a competitive price. Reduce Carbon Emissions Co. Ltd. or RCE for short designs, manufactures and distributes its products worldwide, and is growing rapidly. JBT brake systems derived straight from Japanese GT racing championships and other well-known racing championships in the United States and Asia. With a real racing heritage as a back up JBT High performance brake systems are tested to the max and built with real craftsmanship which you can rely on. In 1994 it started to develop street-use applications based on its knowledge and experience on the racing tracks across the world. Formula 4 is the brainchild of Jean Todt, President of the FIA, and his team at the single seater commission. Recognising the confusing myriad of championships for rookie race families to chose from, the FIA instigated their certified route to professional careers in the sport, via F4, F3, F2 to F1. Four years ago Lance Stroll was the first F4 champion, and was the first to avail of one the unique benefits of following the FIA pathway, collecting 12 Super Licence points. Further successes in F3 earned him more Super Licence points, resulting in him having more than the required 45 points to join the Williams F1 team as the youngest ever F1 driver. F4 SEA is one of 12 global F4 championships designed to help drivers cost-effectively transition from karting to formula sport. Asian Autosport Action (AAA) Group Sdn. Bhd. 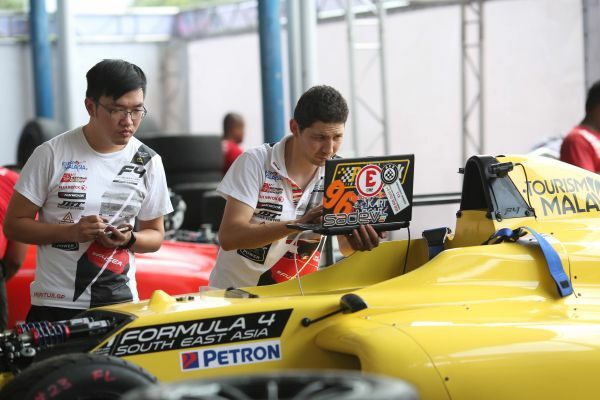 Through a licencing agreement with the FIA and its Malaysian affiliate the AAM, Asian Autosport Action (AAA) Group is the appointed promoter of the FIA F4 SEA Championship. F4 SEA is a 30-race championship, commencing in Sepang supporting the Malaysian F1 on 29 September 2017 and visiting Thailand, Indonesia and the Philippines before the fifth and final round back in Sepang on 8 February 2018.